At least 50 people have been killed, with over 100 injured after a shooting at a country music festival on the Las Vegas Strip, a local hospital spokeswoman said, and police said one suspect was down. The shooter, who has been identified by law enforcement officials as Stephen Craig Paddock, 64, of Mesquite, Nevada, fired shot after shot from his room at the Mandalay Bay. According to the source, it was reported that Aldean was performing on Sunday night when the rampage began but that he had been bundled safely off stage at the event outside the Mandalay Bay Resort and Casino in the Nevada gambling mecca. The spokeswoman for the University Medical Center hospital said 14 of the wounded were in a critical condition. All appeared to have suffered gunshot wounds, she said. "Confirming that one suspect is down. This is an active investigation. 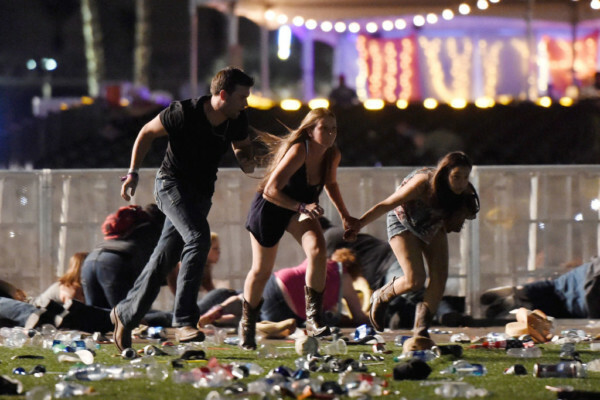 Again, please do not head down to the Strip at this time," Las Vegas Metropolitan Police Department said on Twitter. It was not immediately clear whether the suspect was killed or injured. Police said on Twitter that at this time they did not believe there are any more shooters. Las Vegas is an internationally renowned major resort city, known primarily for its gambling, shopping and entertainment. Video on the festival's website showed stage set up outside the front of the Mandalay Bay. The hotel is near McCarran International Airport, which said on Twitter it had temporarily halted flights after the shooting. Later, the airport said that some flights had resumed. One Twitter user posted that the casino hotel was on lockdown, while another, citing police scanners, said two gunmen who had shot at a bodyguard and police were on the 32nd floor, although there was no confirmation from police.